This entry was posted in Travel and tagged Prague, train travel. Bookmark the permalink. Wow. A literate blog: words carefully chosen and accurately used. What a treat. Thanks for the fun. I’ll be back often. Wow you have done a great job…I really appreciate this…That’s the right way to travel…. 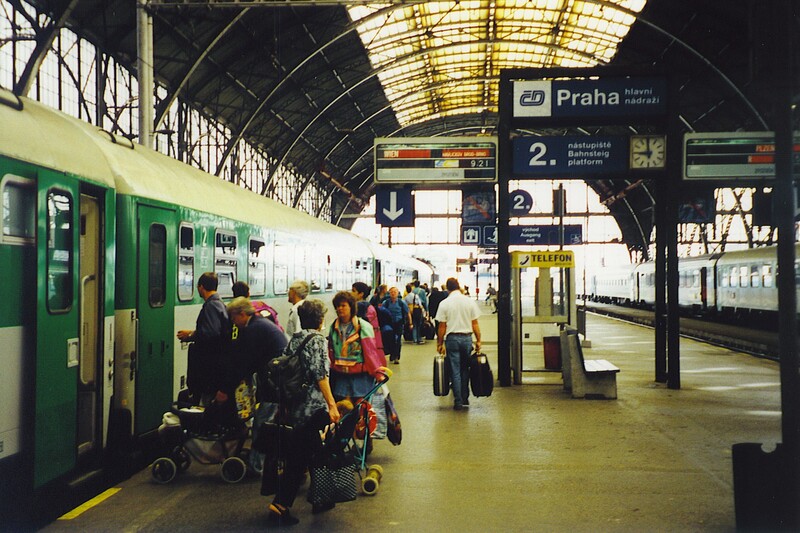 I love your photo of the Prague Main Train Station. I am from Prague, but live in the UK. I wanted to paint a Prague train station and your photo was the best I came across on the internet. I have used it to make a painting from it and I was wondering if you would be happy for me to enter the painting into a competition (giving you credit for taking the photograph, of course) and use it for public display. I am happy to email you the painiting. Alena, I would be very happy for you to enter your painting in a competition, and use it for public display. I look forward to seeing it!